Hurricane Irene makes landfall # 2 along the coast of New Jersey near Little Egg Inlet at 5:40 AM EDT. The estimated intensity of Irene at landfall was 75 MPH category one hurricane. Reports from an Air Force Hurricane Hunter Aircraft and National Weather Service Doppler Radar indicate that the center of Irene moved over New York City around 9:00 AM EDT. 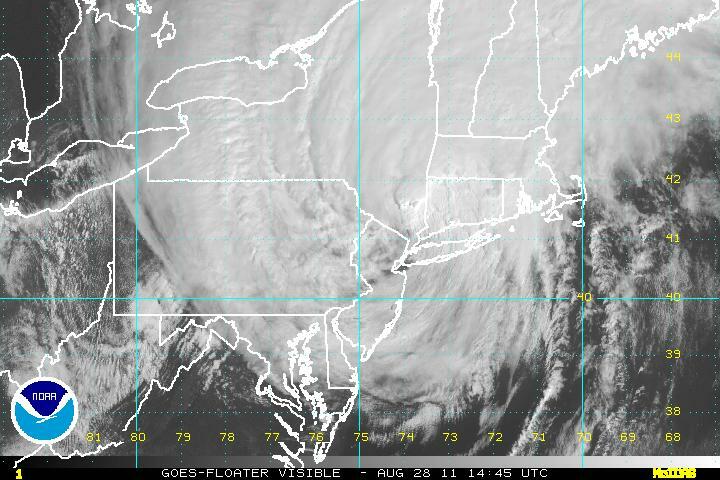 Irene had weakened to a tropical storm and the estimated intensity at landfall was 65 MPH. Tropical storm Irene heading northward out of U.S. into Canada…. New York city missed the bullet could be much worst they recieve flooding and some wind damage. looking into the Carribean and eastern Atlantaic over the next few days.